The Ultimate Pet Business Shortcut - Pet Business Masters! This Is Your Chance To Get Help From Other Pet Business Owners PLUS Own My Most Treasured Collection Of Templates, Guides, Action Plans, And Strategies...The Exact Ones That Have Enabled Our Pet Walking-Running-Sitting Business To Do Millions In Sales (yes, MILLIONS)! Only $429 for the year! If you accept this proposal, it will cost you exactly $39. And you're going to have to work hard. Now, for the "Good News." In exchange for this teeny-tiny investment, I am going to give you the greatest gift I could give any pet business owner. It's the golden key to our "secret vault"...a treasure trove filled with all the systems, guides, templates, and tactics that we've used to do well over $2 Million dollars in sales in our pet walking/running/sitting business. Or...are you not even sure where to start? Do you have a specific, clear-cut, paint-by-numbers plan to grow (or start) your pet business? If you're making it up as you go, don't feel bad because you're not alone. In fact, that's what I did, too! When I started my pet business, called Dogs Love Running!, way back in 2008, I used what I learned in my MBA business school program. I combined that with what I thought "felt right." That worked...but only for a while. Basically it worked until I had too many clients. I started needing lots of help because one of the greatest things about our type of business - as well as one of the hardest parts - is that you'll probably quickly outgrow yourself like I did. Yep, believe it or not, this is one of the few industries you can join where the hardest part of the business is NOT how to find clients. Instead, the hardest part is often how to serve them all! I found that I was spending WAY too much time and effort trying to run my business by the seat of my pants. That's why I needed systems to help me grow (and that's what you'll need as well). So, here's what I did. I thought about every aspect of my business and figured out what was working and what wasn't. Then, I fixed what was broken. Every​ aspect of my business was documented and turned into a process that anyone could follow. In fact, it was so systematized that I figured other people would want to copy it. To allow people to copy my systems, I decided to turn my business into a franchise company. 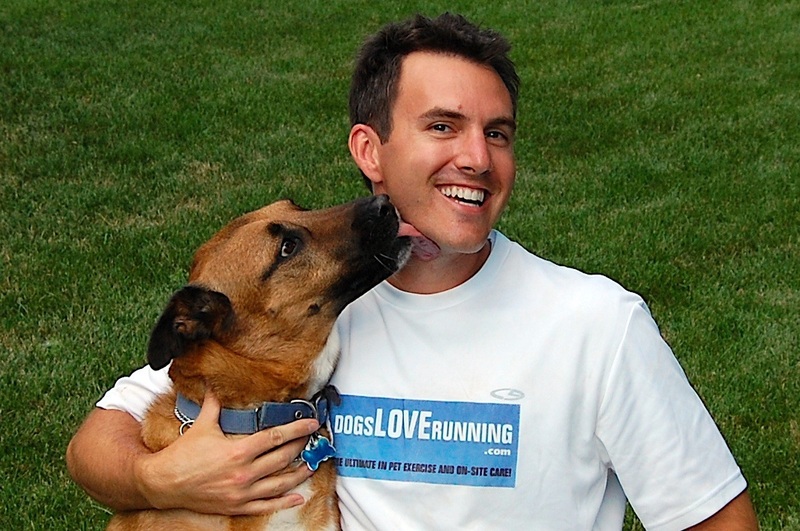 After nearly a year of work and many tens of thousands of dollars in attorney fees, Dogs Love Running! Franchising was born. Finally, I was just like a McDonald's franchise where people could join me and get the instant keys to knowing exactly how to be successful. I was lucky enough to get some awesome people to join me and start their own pet businesses under our franchise name. In fact, many are still with me. It wasn't all roses and rainbows though. Failing to realize that starting a pet business does NOT mean you get to "play" with dogs all day. Now, for those who stayed with me (and these people are still with me to this day! ), they are doing between $10,000 and $30,000 a MONTH in revenue (and growing all the time). ​Until recently, all the secret strategies, shortcuts, checklists and templates contained in our Franchise program were the exclusive property of myself and my franchisee team members. They were locked away and, unless I had personally given you the key to access this "vault", you'd never see them. They were...and continue to be...our "secret sauce" to success. But I recently ​made a huge decision. ...and ​provide them to you now - for the first time ever - without you having to join me as a franchisee! Why would I do this? I want to enable you to be a part of the most influential, successful, professional, and active community of pet business owners​ on the planet! ​This community is called PET BUSINESS MASTERS! and, through it, I know that more people can be more successful than if we all do it alone. Are you with me so far? Would you find it beneficial to be a part of a community that's designed specifically to help you achieve your pet business goals? As a PET BUSINESS MASTERS! community member​, you get access to EVERYTHING you need to be successful in both starting your business as well as growing it. Plus, LOTS more info to help you start your awesome new business! And, again, this is just a SAMPLE of everything that is waiting for you on the inside. As you can see, ​joining us today is the ULTIMATE SHORTCUT to finally knowing exactly what to do and when to do it. Having access to all these checklists, templates, and forms is obviously an amazing value. But what's even better is having live group coaching to help you with anything you need. ​We'll have these MASTERY COACHING sessions where you'll get on a live group phone call with direct access to ask me and the community anything you'd like....literally, anything! ​Plus, we'll support each other by sharing our "weekly wins" - these are the accomplishments we've had over the past week that we can share to help gain confidence and provide encouragement and inspiration to others. Beyond our weekly group calls, our forum boards are always on and provide the community with a way to ask specific questions and share detailed responses. Have a question on a topic you want to know more about? Ask it on the forum boards. Want to share something cool you just learned? Share it on the forum boards. Need to get inspiration from other successful community members? See what's working for others on the forum boards. As a PET BUSINESS MASTERS! member, you also get to "drop in" on our internal "what's working now" sessions where we'll take a deep dive into a particular tool, topic, or strategy that actually WORKS to make you more money and/or make life easier for you. These training sessions are basically like you're in our office in Chicago and getting a chance to listen in on the latest and greatest of what's going on in the industry. In the past, these were exclusively for our franchisees ​only. But, to make our community as valuable as possible, I decided to let PBM members attend these sessions, too. We've put together complete online courses that you can learn from whenever it's convenient for you. You Get It All - For A Full 30 Days - For Just $39! Your investment today is just $39. Consider that my franchisee team members paid $12,000 to join me and learn this same exact information that I'm giving you access to. Further, consider that my franchisee team members continue to pay $500 to $1000 every MONTH for coaching from me. Again, you get everything described here for just $39 per month. So, Why The Heck Is This So Inexpensive? Alright, you can probably guess that I'm not getting rich by giving away this incredible information for just $39. So, I do have an ulterior motive for making such an insane offer. Because, like I mentioned above, I want you to be a part of this incredible, influential, and helpful group of like-minded pet business owners. I want you to help make it better by your contributions and I want you to learn from what we can all share with each other. And, if you choose to stay, that's AWESOME! If not, that's fine, too. Assuming you do love it (and I truly believe you will), you'll automatically be renewed at our charter member rate of just $39/month. ....when you consider how much faster you'll make money, how much easier it will be to grow your business, and how much quicker it will be to get the answers to the problems that always come up. If you don't feel that what you can learn in our community will make your job of starting/growing your pet business easier and faster, I'll insist that you bow out and seek help elsewhere. That's how confident I am that you're going to love this. So, click the "YES, Let Me In!" button below​ and prepare to take your life and business to the next level. See you on the inside! 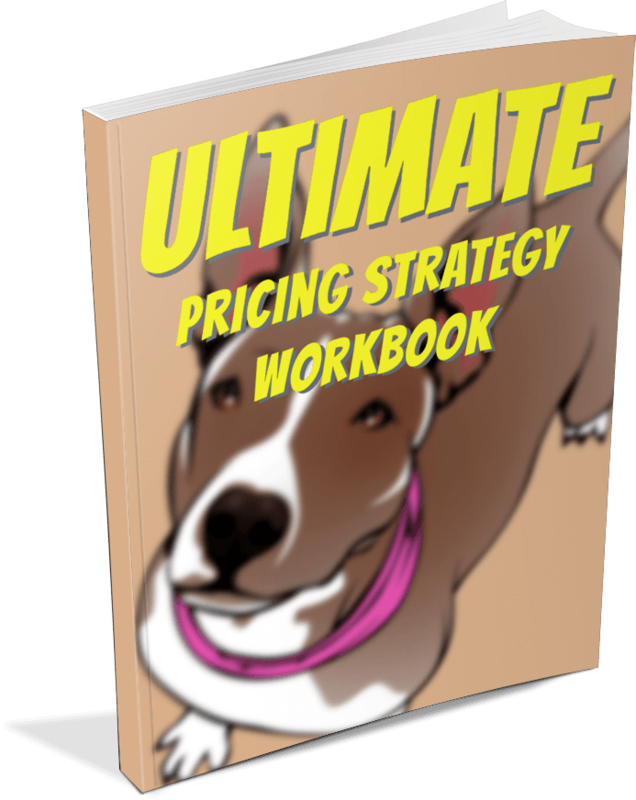 Discover the "perfect price" for your dog walking and sitting business with this free workbook. We've emailed you a link to where you can find the workbook. You can also d﻿﻿own﻿﻿load it right her﻿﻿e. We can help you with your pricing. Learn about ﻿ our Pet Business Masters! Academy﻿﻿, the community to help you start, grow, and love your pet business.